Local police apprehended a suspect on Friday night as part of their on-going Holiday "bait package" sting operation. On Friday, December 16 at aproximately 9:15 p.m., officers were alerted to a bait package theft near the 1800 block 25th Street in Midtown. 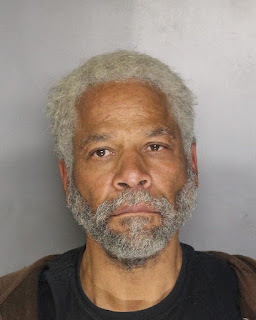 Upon arrival, Sacramento Police Department officers located 59-year-old Michael Lumford (pictured above) in possession of the stolen property. A records check on Lumford revealed that he was on the naughty list. He was taken into custody without incident and booked for petty theft and his outstanding warrant. As part of their ongoing effort to address seasonal increases in package theft, the Sacramento Police Department has been conducting an ongoing ‘bait package’ operation in various neighborhoods throughout the city. We have been partnering directly with residents in these neighborhoods who have generously allowed us to deploy bait packages in front of their homes. When would-be ‘porch pirates’ arrive and plunder the package, officers are alerted to the theft and quickly respond to pursue the pillager. No Comment to " Sacramento Police Arrest Suspect in 'Bait Package' Sting "